Italians invented it, Americans changed it, but what makes a pizza great? Is it crust, sauce or toppings? Here, we break down some of the city’s top purveyors of pizza. Who: A downright comforting trattoria with convivial spirit and zero pretension. Crust: Wonderfully crisp yet pillowy, moist but burnt in all the right places. Get this: The margherita (B390) has the zing of a good tomato base that’s cut with chunky and surprisingly tangy buffalo mozzarella. Who: Ekkamai’s cozy new pizzeria is French-owned but has the pizza panache of Italy. Crust: Made with specially imported Italian flour matured for 72 hours. Wood ovens achieve that doughy and pliable Napolitana crust. 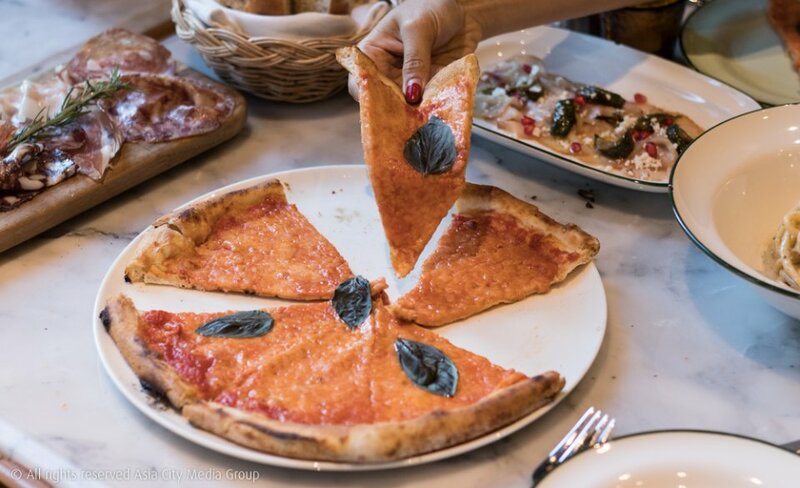 Get this: Let the crust shine with the traditional margherita pizza (B350). The L’Italain (B510) makes for a heartier, creamier choice, with mozzarella, gorgonzola, parmigiano and balsamic cream. Who: Sathorn’s cozy, unpretentious pizzeria brims with the character of Florence. Crust: These uniform, crisp-bottomed pies provide a nice crunch with every bite and feature toppings that come almost to the edge. Get this: Order the Nduja (B380) for perfect little circles of mozzarella and spicy sausage that’s so tangy as to overshadow the tomato sauce (in a good way). Who: Italian-American co-owner/chef Shane Greene stays open till 4am for delivery and partners with Sathorn 11 Art Space. Crust: 72-hour fermented using 100-percent imported ingredients. The result is satisfyingly spongy yet crisp, with slightly burnt edges. Get this: Fun stuff like the Pat Kaprow (B325) and Vodka Pie (vodka sauce, mozzarella, Italian tomatoes and fresh basil, B275) aside, you can’t go wrong with the American Pepperoni (B355). 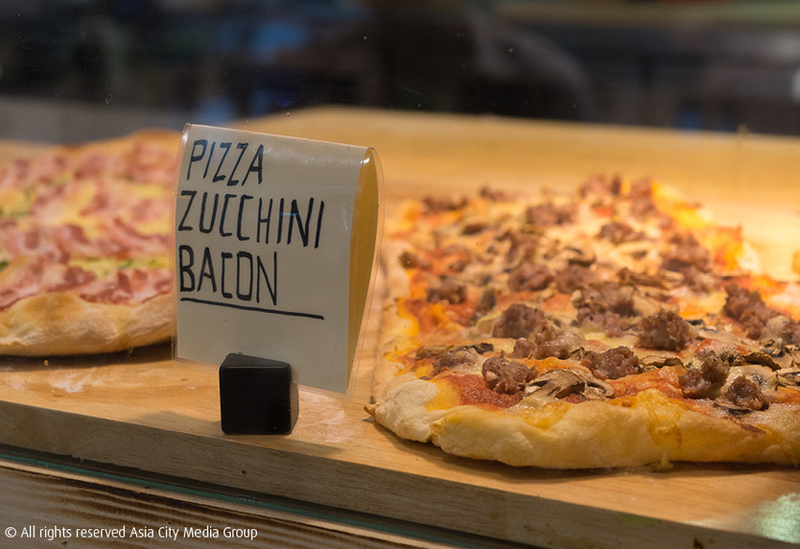 Who: CentralWorld’s pizzeria-slash-delicatessen comes from a Sicilian outfit with several restaurants around Singapore. Get this: Splash out B580 and you’ll get to pick four toppings (or B720 for six) on as many slices, for which there’s no skimping on the produce: the spicy Milano salami and zinging tomato base in the diavola, the piquant cheeses in the cinque formaggi, the juicy marinated eggplant of the melanzane. Who: Chef Francesco Lenzi, the mastermind behind Top Tables mainstay Lenzi Tuscan Kitchen, heads in a casual bistro direction, whipping out pizza as well as cold cuts and freshly made pasta. Crust: The aromatic and light 72-hour fermented pizza dough results in a chewy, crisp-edged crust that really shines in the traditional style. Get this: Top players at Nonna Nella are the Diavola (B450), topped with organic tomato, fior di latte mozzarella and spicy salami, and the Salsicce and Funghi (B550), loaded with mozzarella, homemade sausage from lenzi’s and mushrooms. Who: Asoke’s institution for Roman-style pizza: thicker, crunchier and square. The result of much love-hate conversation. Crust: Cooked as one-meter-long slabs and cut up into squares (B50-130 for a roughly 6-by-6-inch piece). The bottom forms a very thin, crispy crust with beautiful char marks, while the half-inch above is an aerated, slightly sour miracle. Get this: San Marzano tomatoes and artichoke add zing to the capricciosa (B115), whle the cinque formaggi (B125) is a cheesy delight. Who: Team Appia’s strictly Naples-style pizza, made to Associazione Verace Pizza Napoletana rules. Crust: Tangy and pillow-soft, slightly chewy with charred bits from the blazing hot oven­—many however complain that the crust can get too billowy. Get this: The simple Marinara (B180/260) thanks to perfectly acidic San Marzano tomatoes. Who: American-style, bigger-is-better pies that ooze cheesy goodness. Delivery only. Crust: Nothing fancy here, just a good thin crust that’s pliable and chewy with crisp edges, available all the way up to a New Yorker-style 18 inches. 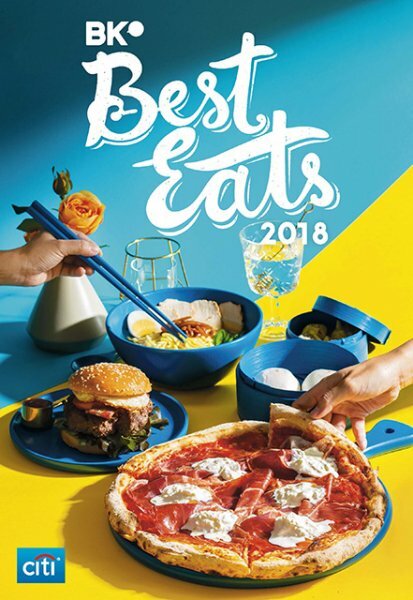 Get this: The variety of toppings is endless, starting with the pepperoni (truly American) and the Tirolese (B395) that has mozzarella, gorgonzola cheese and smoked bacon. Detroit-style pizza has a thick and fluffy deep-dish crust covered in mozzarella and homemade sauce (special order only). 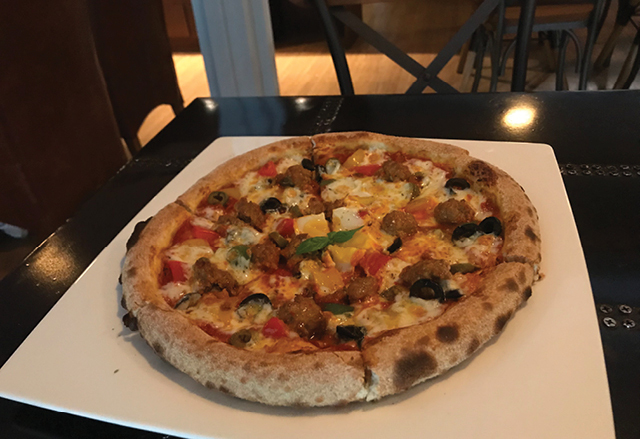 Who: This collaboration between French restaurateur Frederic Meyer (Issaya Siamese Club and Namsaah) and Italian chef Luca Appino (La Bottega di Luca) takes an Italy-meets-France approach to pizzas. Crust: Delicate and thinner than Peppina, mixed with Minere mineral water and “air-conditioned“ flour. Good news if you have a gluten intolerance: Pizza Massilia Ruam Rudee has you covered. Get this: Extravagant toppings like the Mortadella truffle (B590) with organic tomato sauce, fior di latte mozzarella, black truffle sauce and Mortadella black truffle. Who: An Ekkamai pizza house, run by genuine New Yorkers, who dole out those large hand-tossed, thin-crust pies like you might find in Brooklyn. 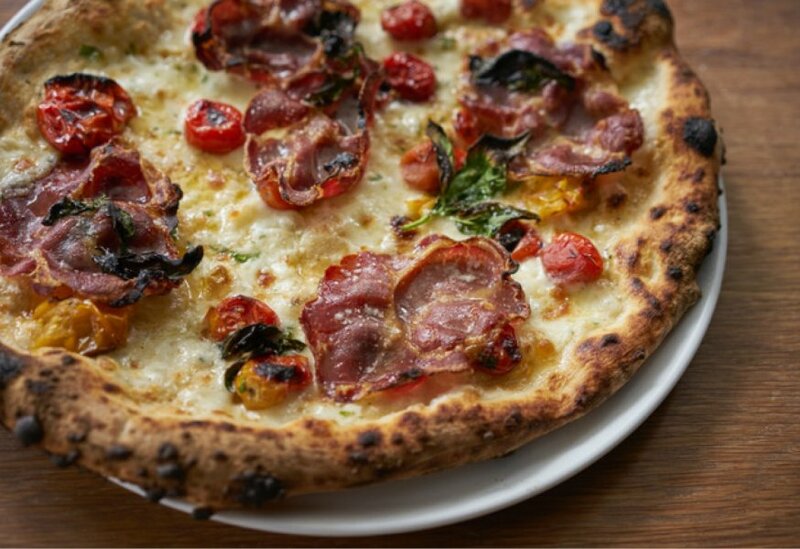 Crust: The dough, handmade with only four ingredients, gives you a crisp yet pliable base once whipped out of the custom-made “low-dome” Acunto oven from Naples. Get this: The Hot Hipster (B510), topped with molten fior di latte mozzarella, spicy Calabrian salami, hot honey, chili, pecorino and basil. Who: Hidden in a back alley of Asoke, Sfizio feels more like a cafe than a restaurant, but is right up there with the crema of Bangkok’s homey Italian New Wave. Crust: Fluffy, charred and fermented for 72 hours—competition for any of this city’s pizza heavyweights. Get this: For something new, go for the signature Sfizio (B220/400) with mozzarella, ricotta, parmesan, pork sausage and truffle. Who: The group behind Above Eleven, Havana Social and other Sukhumvit Soi 11 institutions makes a foray into New York-style pizza. 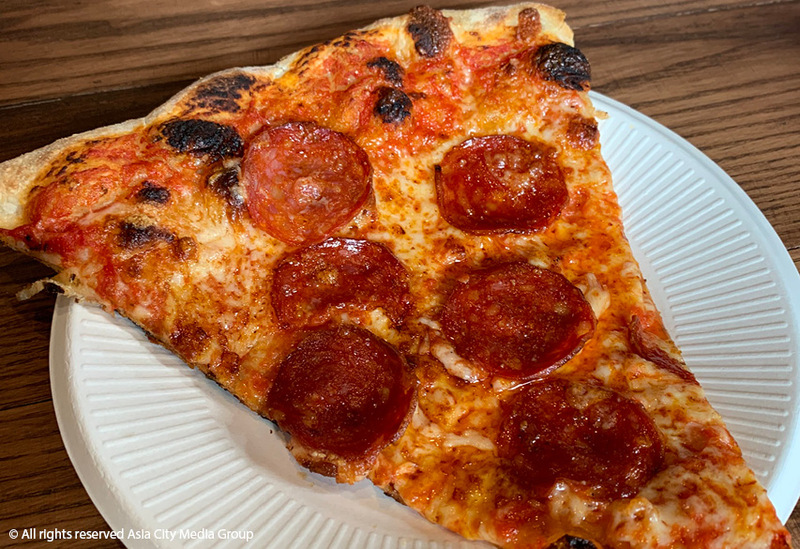 Crust: Made with 48-hour naturally fermented dough, these large, hand-tossed pies come with a thin and crisp crust, yet are soft and pliable enough to be folded in half, the quintessential marker of a NY Slice. Get this: Don’t miss out on the classics like Sausage and Peppers (B150 per slice; B750 for full), topped with homemade sausage, pickled bell peppers, mozzarella and breadcrumbs, or the Pepperoni (B150/B750) with pepperoni, mozzarella and oregano.